ASTA – The War of Tears and Winds is a lively MMORPG featuring a rich world inspired by Asian culture, and offers a unique element of Asian fantasy along with vibrantly colored graphics. 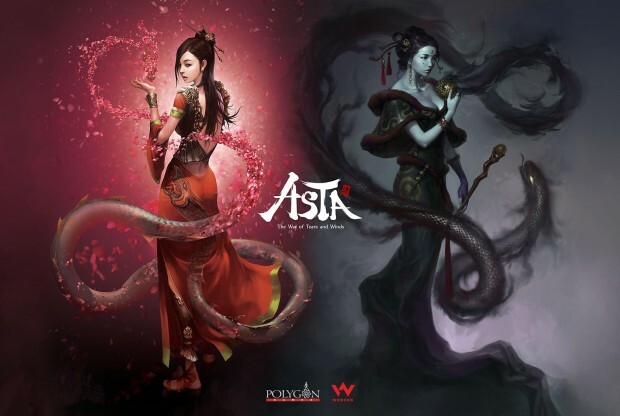 ASTA will offer players a variety of options for races, classes and characters, along with classic MMO features like PVP battlegrounds and guild battles, a broad crafting system, scenarios and quests with rich lore, a player-driven economy and rewarding dungeons. Let’s see what this games key-features will be, this tiny gameplay video doesn’t give me anything to work with, it looks just generic as heck. Nice I can’t wait. I love these types of MMOs, none of that new “action” combat malarkey. Nah, because Australian ping is a hard life. Standard mmo with decent enough graphics and animations. Nothing especially good to make it stand out over all the others. Every mmo formula is: go out and kill everything that moves and get a crappy reward for a false sense of achievement. True… still gonna play it tho. i think it comes down to if its fun while you do the standard stuff a mmorpg has.